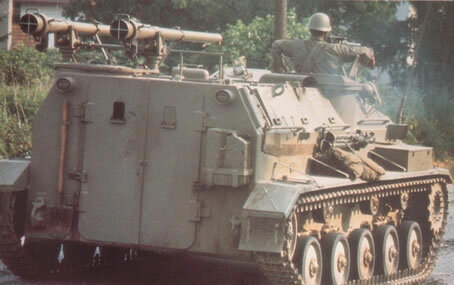 The Yugoslavian M-60P APC was a basic Armoured Personnel Carrier developed in the Former Yugoslavia and even for its time, was pretty crude and out dated compared to the Russian BMP-1 also developed in the early 60’s and first being seen in the mid 60’s. It even lacked an amphibious capability. The basic layout is driver front left, his hatch has a day sight, which can be replaced with an infa-red for night driving. To his right is the Bow MG operator. The commander sits behind the driver with a 12.7mm MG on his cupola, which can be used in the Anti-Aircraft role. The vehicle is powered by a 6 cylinder diesel, which generates 140hp, giving a top road speed of 45km/h. The vehicle is an all welded steel construction, which gives protection against small arms. It has no NBC protection system. The rear compartment is for 10 troops who site on benches back to back so they can fire their personal weapons through side ports (3 either side) and they depart the vehicle via two doors set in the rear. Its believed 40 were passed on to Croatia and 165 to Serbia. The vehicle was replaced by the BVP M80 IFV. 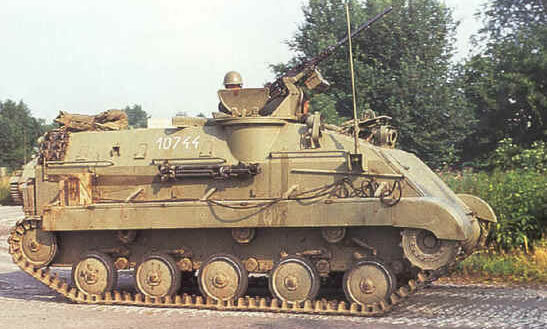 This vehicle had two recoilless rifle barrels mounted on either the left or right top of the vehicle, to fulfil the role of anti-tank. Both are 82mm calibre and can be elevated from -4 to +6 degree’s, which was manually done. It carried 10 82mm HEAT rounds, with an effective range of 1500m (static targets).